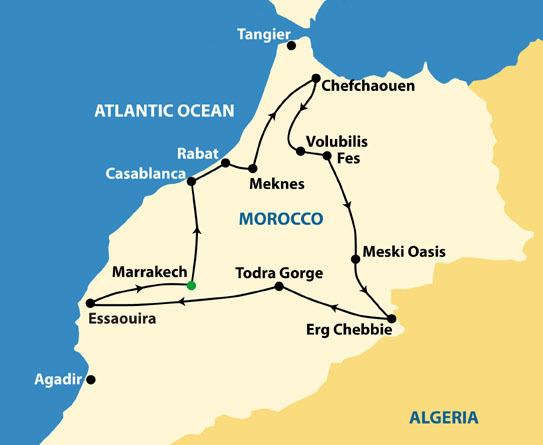 Discover the best tours in Morocco including Morocco Kasbahs & Desert, Highlights of Morocco, Morocco: Sahara & Beyond. Our Morocco Tours & Sahara Desert Tours are authentic, private and designed specifically for you. Design your own adventure with a tailor-made holiday. All Tours are private and fully customized for you. We will discuss dates and duration, likes and preferences and budget. Then, using our extensive experience and intimate knowledge of Morocco, we will create a tour specifically for you.Contact us for a customized tour. Experience the magic of Morocco with our wide range of tours arranged by Sahara Desert Trips tour company. Examples of Tours you will find on our official tour website.